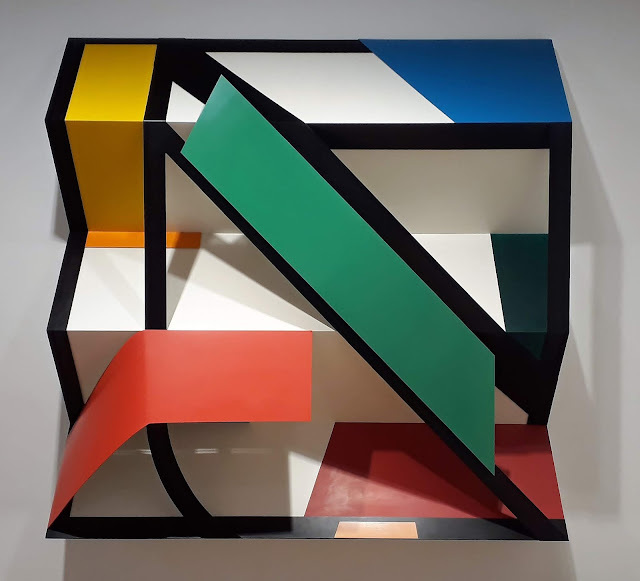 The noted art writer and curator Paul Carey-Kent gives us his rolling ten recommended contemporary art shows for London Art Exhibitions February 2019. Paul currently freelances for Art Monthly, Frieze, Elephant, STATE, Photomonitor, Border Crossings and World of Interiors, and has a weekly online column at FAD Art News. You wouldn’t instantly link him to abstraction, but that’s how Wesselman started out and he returned to it, inspired by offcuts from his figurative steel drawings, in his last decade. Almine Rech sets out the story superbly with parallel streams of nudes and abstracts. Here’s ‘Three Step II’ 2003. Linder has a wide-ranging practice, but I can’t remember when I last saw a comprehensive overview of what she’s best known for: collage. Here, though, are more than 70 covering five years’ work. They include her characteristic combinations of apparently free women – in the landscape, or in sexual activity – undermined by the imposition of household duties, but also all-male combinations and a new strand of ‘Superautomatism’ (as above) in which chance presses of paint perform the role of obscuring the image of nudes in a creeping censorship which might be ominous were it not so exuberant. You don’t have to travel so far as Katie Paterson’s big show at Margate to get an art-dose of the universe in action (though I recommend it – as here). 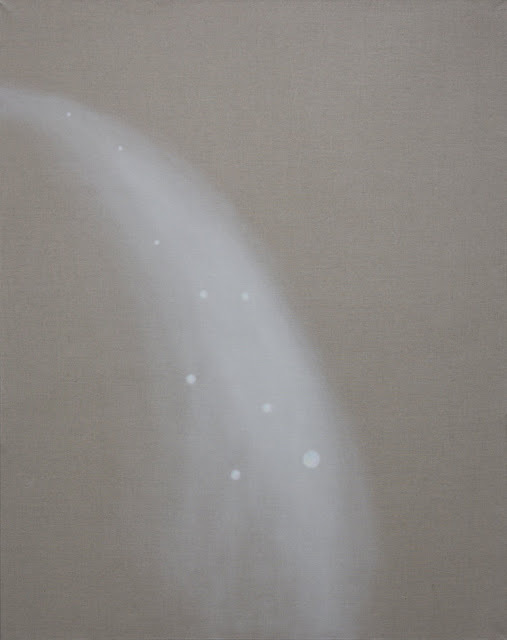 This combination of Hannah Luxton’s cosmically minimal paintings (‘Star Stream’, 2019 above) with Julie F Hill’s entrancing 40-minute film of deep space and cascading sculptures of stars in a river of time will also do the job. 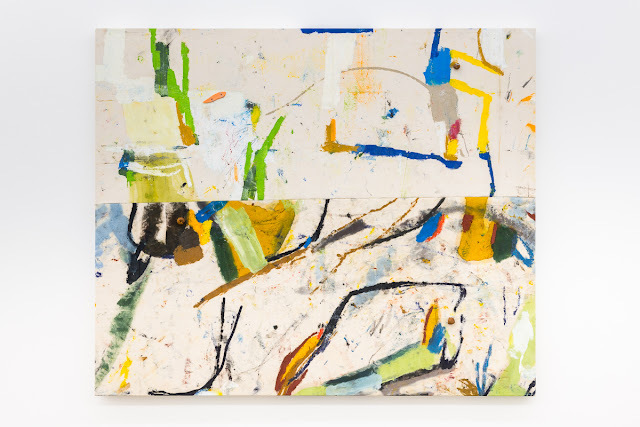 Fans of process-driven abstraction would do well to visit Sadie Coles for Ryan Sullivan’s jazzy improvisations and catch Peter Matthews and Rebecca Meanley at the Concept Space in Bermondsey, as well as Beers’ solo presentation of Matthews. His is the ultimate seaside studio, as the chance and weather-affected results of the two halves of his ‘hybrid paintings’ come out of time living in a tent beside the Pacific and Atlantic coasts (here – ‘Chaac’, 2018 – Mexico and Cornwall). In the Jerwood’s new three-person presentation two rooms appeal to me. Appau Jnr Boakye-Yiadom brings together drums, vegetation, and Russ Meyer to set up a performative space without – until you arrive – people and Kitty Clarke has an equally effective immersive space, setting evocative snatches of dialogue into a version of fairground ghosthouse architecture (installation shot above). Not only is Fausto Melotti’s ‘Hanging Garden’ 1970 serenely attractive, there’s no weeding or watering required. From the Estorick’s demonstration that the Italian (1901-1986) is more varied than previous UK showings have suggested. 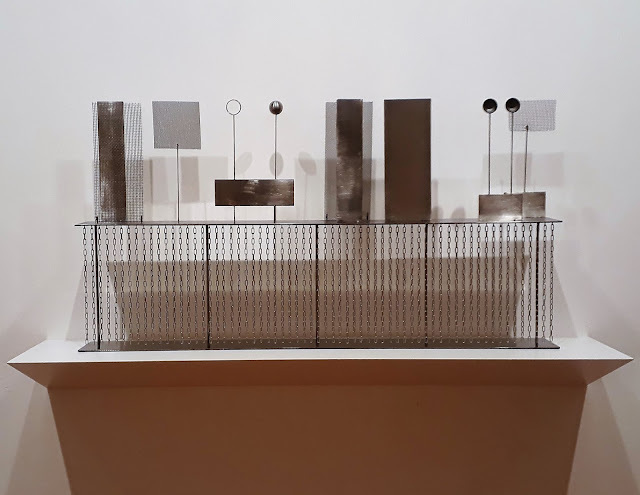 Melotti’s dictum ‘Zero is infinity in reverse’ could be relevant… Moreover, other displays of Boccioni, Marini, and Morandi are well worth seeing. The presence or absence of Bridget Bardot in ‘Contempt’ lies at the core of Amie Siegel’s dizzying combination of text and film works playing off Goddard’s 1963 film and Alberto Moravia’s novel ‘A Ghost at Noon’, 1954, on which it is itself based. Quite possibly the cleverest show currently on view – as I explain more fully in the February issue of Art Monthly. 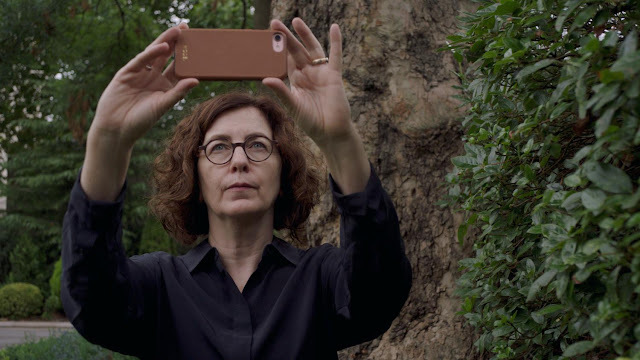 A thoroughly enjoyable parade of wit over two twenty minute cycles in a recommended viewing of painting, sculpture, performance, and film: one in a darkened space with films, one in the light with performances. ‘Work No. 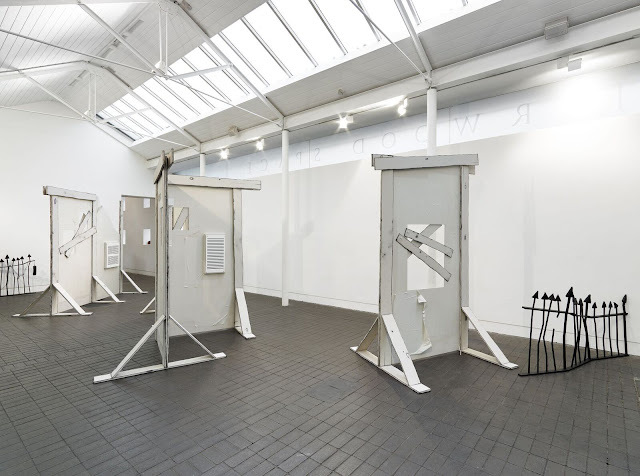 2919 Tree of art’ 2018 is the most visually minimal in a packed show of ‘difficult thoughts’ which prove disarmingly simple. It seemed a touching metaphor of creative growth until I started reading it as ‘Fart’. Among the widespread moves to enhance the visibility of neglected female artists, Markéta Luskačová (born 1944) has a notably strong case, so it’s great to see that Tate Britain have dedicated a room to both her East European and – after she left Prague in 1975 – British photographs. This, from the series ’Seaside, North East England’ is typical: a grittily surreal monochrome which works in the detail as well as in the overall compositional, documentary and emotional aspects.